The DDD, aka the Duckworth’s Dargle Delight, is arguably the best dry fly (If not, one of the most fished) in South Africa, and is a fly that can be fished anywhere at anytime during any conditions… Literally. Tom Sutcliffe invented and coined the Duckworth’s Dargle Delight, and it gets it’s name from a man that used to fish with Tom Sutcliffe, and has a very interesting history behind it. More can be read below. The story as continued from above: This man’s surname was Duckworth and they were fishing a stillwater in the KwaZulu Natal Midlands, more specifically a small pond in the Dargle area. Bill Duckworth was new to fly fishing and caught his first Trout on this fly. 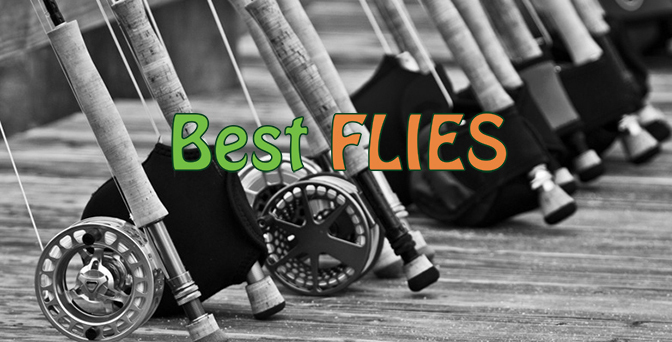 He used the fly non stop for a few years after that, and I presumed he was delighted with the fly’s results, and I presume that is what added the third letter onto the DDD, the Duckworth’s Dargle Delight. This proudly South African dry fly is extremely buoyant and is a Trout destroyer (Amongst many other fish species). 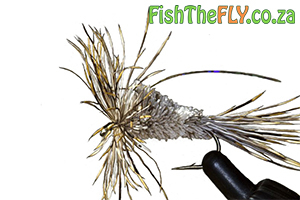 The dense body of this fly and the hackle used makes it float perfectly in the surface film and can fool even the smartest of fish. There are many ways of how to tie this pattern, and other flies such as the Adams, Humpy and Wulff patterns can be incorporated into the DDD. The DDD is originally tied with Klipspringer hair (Which floats amazingly), but synthetics can be used with great success as well.